Looks like they’re gone anyway. lol and it sold out already. I ended up getting a single bottle of Olive Oil and Sea Salt, which I am actually more excited about. Sorry to feature something sold out! I wrote this up on Friday. Nothing to be sorry for! I’m delighted to know they exist and go through shower gel so slowly that I’m thrilled with my smaller purchase. They are extremely good, I recommend! 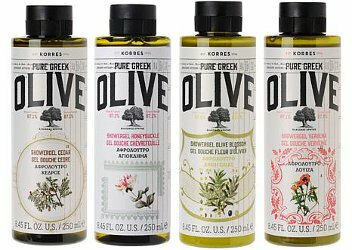 I had the olive oil & olive blossom.